This air was reputedly composed by fiddler John Bruce of Braemar, Scotland. He took part in the Jacobite rising of 1745, but was imprisoned in Edinburgh Castle when Bonnie Prince Charlie was defeated. No one knows when the air was composed, although c. 1750 has been suggested. 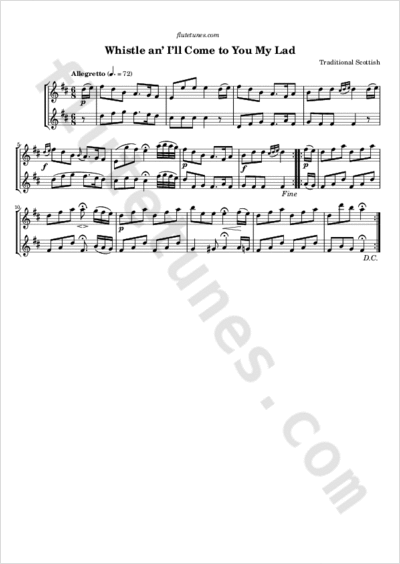 Niel Gow's Complete Repository (1806) identifies the tune as “Irish”, perhaps because a version was used by Irish dramatist John O'Keefe as the vehicle of a song (beginning “Since love is the plan, I'll love if I can”) for his 1783 comic opera The Poor Soldier.